Everyone's favorite prancing grandpa gave an energetic, heartfelt tribute to singer Solomon Burke, who died last year. 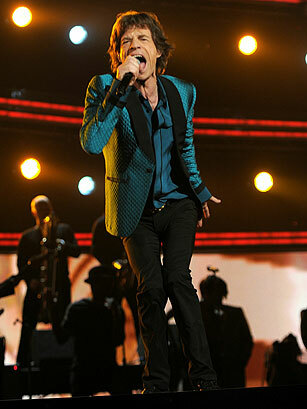 Jagger has an act that simply doesn't get old. He struts and swaggers like someone half  no, a third  his age. It's hard to believe that the man is 67. See pictures of the Rolling Stone 1969 American tour.